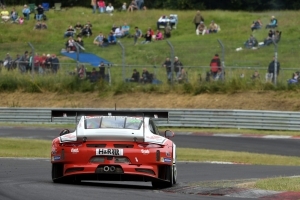 At the fifth race of the VLN Endurance Championship Norbert Siedler was once again racing with the Porsche 911 from Frikadelli Racing on the Nürburgring-Nordschleife. Together with his team-mates Klaus Abbelen (Germany) and Patrick Huisman (Netherlands) he claimed the seventh position. Now the Austrian is looking forward to his home-race in the ADAC GT Masters. 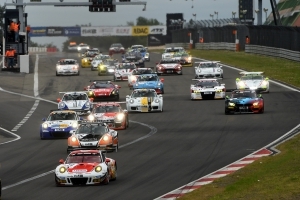 For the third time in a row the Nürburgring was Norbert Siedler’s destination. After the fourth place in the VLN at the end of June and the fifth position in the Blancpain Sprint Cup two weeks ago, he was hoping for a top-result at the season’s fifth VLN race as well. After a mixed qualifying the Austrian and his team-mates from Frikadelli Racing finished in seventh position.